The ACLU of Michigan filed a federal lawsuit today on behalf of eight female inmates from the Muskegon County Jail who assert that “inhuman and degrading policies at the filthy, overcrowded lockup violate their constitutional rights.” Among the (many) degrading policies is the jail’s refusal to provide adequate feminine hygiene products to inmates. Unfortunately, this is a common problem facing female inmates. According to Maya Schenwar, who has worked regularly with incarcerated women she has heard one recurring complaint from female prisoners: “There are never enough feminine hygiene products to go around.” Many facilities don’t provide feminine hygiene products at all, requiring women to buy pads or tampons from prison commissary. In these facilities women can wait weeks for their commissary to come in. Others have no external source of funds and are forced to go without or use makeshift hygiene products made of toilet paper. 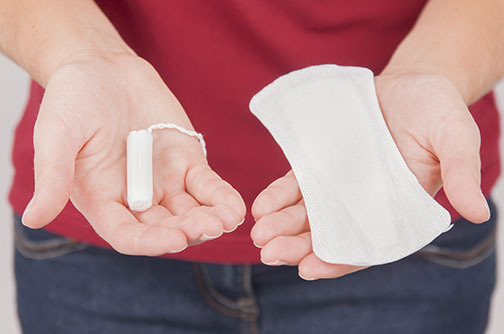 A normal period might require a woman to change her pad or tampon as often as every hour or two hours during heavy bleeding. The Department of Health and Human Service’s Office of Women’s Health directs advises women to change their pads before they are soaked with blood and to always use the lowest absorbency tampon necessary (using different kinds of tampons on light and heavy days), changing every 4-8 hours to avoid developing bacteria associated with potentially deadly toxic shock syndrome. Studies suggest that incarcerated women are more likely than their peers to have irregular periods. Female prisoners in England have described a range of menstrual symptoms including “increased premenstrual tension (PMT), excessive menstruation, painful menstruation and menstrual cessation.” So in addition to those women with “normal” periods, forced to bleed for 2-7 days without adequate protection and sometimes without any at all it’s also a safe bet to assume that there are women among the prison population who experience heavy bleeding that leaves them even worse off when provided with what would under normal conditions be considered inadequate supplies. Others might experience unexpected bleeding when periods become erratic, making it difficult to plan ahead to request feminine hygiene products several days in advance. In any case, wearing the same pad for hours or days (a likely result of insufficient supplies) on top of being extremely uncomfortable and unsanitary, increases the likelihood of contracting a bacterial or fungal infection. Those with external funds can turn to the jail commissary which is run by a private company called Canteen Services and features wildly overpriced feminine hygiene products. According to the Muskegon County Jail Commissary Menu, a package of 8 tampons costs $4.23. Let’s assume that these aren’t the highest end tampons on the market. For ten cents more you could buy five times as many off-brand tampons at Walmart. If we estimate 8 hours per tampon as recommended by HHS, that’s 13 days (or 2-3 menstrual cycle’s) worth of protection from a store-brand vs. just shy of 3 days worth of protection for roughly the same price from the commissary. A package of 10 pads runs $4.55 at the Muskegon County Jail Commissary. For .80 cents less, you could purchase a 28 count box of overnight maxi pads with wings or a 20 count box of overnight extra-heavy flow maxi pads. Can you say prison industrial complex? Sadly degradation in the Muskegon County Jail isn’t limited to the lack of feminine hygiene products. The accounts of the plaintiff’s in the ACLU’s lawsuit against the Muskegon County Jail offer harrowing examples of this kind gendered (and often racialized) degradation and dehumanization. I understand that I made a mistake in breaking the law. However, nobody deserves to be forced to live like an animal and to be treated like one. We are women deserving of basic respect, sanitary conditions, bodily privacy, and simply to be treated like the women we are. Most inmates here have already been through so much. Being treated so inhumanely makes rehabilitation more difficult. Michelle Semelbauer was incarcerated for being unable to pay a fine (a modern reincarnation of debtors’ prisons that the Supreme Court has declared unconstitutional ) and was consequently unable to purchase underwear – which the jail does not provide to indigent inmates. She was forced to remove all of her clothing (a one piece bodysuit) every time she used the bathrooms, leaving her naked in full view of male guards. During the entire time I was in the holding tank, I was not allowed to shower. During my stay in the holding tank, I noticed that my Cesarean section wound had become infected. The wound remained infected for months. I was told by jail medical staff the infection was Methicillin-resistant Staphylococcus aureus (MRSA). Jail staff forced me to clean my infected wound myself in my filthy cell. They ignored my doctor’s instructions and didn’t even provide me enough medical supplies to regularly clean and treat my wound. I would plead for more supplies, but the staff just kept telling me they would not help me. All of this is only the tip of the iceberg. Current and former inmates report that the jail is chronically overcrowded, infested with insects and vermin, that they have had to wait hours to receive toilet paper, that guards watch women undress and shower, though showers and sinks are regularly broken and covered in mold, that holding cells are covered in urine and vomit, and that guards make racist comments to black inmates, including including calling an African American inmate a “gorilla” and a “monkey.” Others burned themselves using faucets that provided only scalding water, were left in holding cells in clothes covered in vomit, were denied shoes, and forced to shower in pools of (likely filthy) standing water. 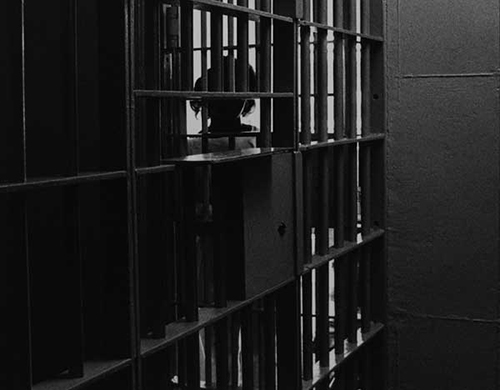 Scholars and advocates for prisoners argue that the poor conditions in jails and prisons across the country are often the result of economic incentives. In the case of for-profit prisons, the less spent on prisoners, the more the company profits. Among non-profit facilities there is little incentive to direct limited taxpayer funds to prisoners, who tend to come from some of the most marginalized groups in society. Incarcerated individuals are more likely to belong to racial minorities, to be poor, to struggle with addiction, and to suffer from mental illness. In addition, over 4 million Americans are currently disenfranchised as a result of voting laws targeting former felons. And even state-run facilities employ private companies to provide meals, commissary goods, and to conduct financial transactions (generally families sending money to prisoners, for which there is often a rather steep processing fee). The number of individuals imprisoned in the United States quadrupled between 1980 and 2008. 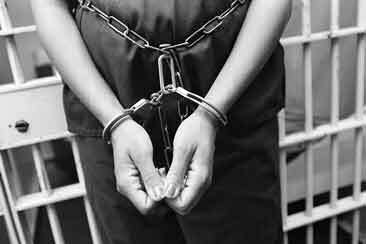 The number of women incarcerated increased at 1.5 times the rate of men. Today the U.S. is home to 5% of the world’s population and 25% of its prisoners. Black women are incarcerated at nearly three times the rate of white women.We imprison more people an any other country in the world, and an estimated half million more than China. And we’re making a killing. Full disclosure: My fiancé is one of the lawyers working on this case. All of the information about the Muskegon County Jail included here was (and can still be) found in the public record, specifically in the ACLU’s press release and plaintiff declarations. For those interested, there are stories from each of the plaintiffs, their biographies, and more information on the lawsuit here. Ziporyn, Karen J. Carlson, Stephanie A. Eisenstat, Terra (2004). The new Harvard guide to women’s health. Cambridge, Mass. : Harvard University Press. p. 381. According to Kotex losing up to a cup of menstrual fluid is normal but they seem likely to have a pro-excessive bleeding agenda. Smith, C. “Assessing health needs in women’s prisons’, Prison Service Journal. 1998.